Heavenly Father, we praise You, our Everlasting Father, our Great and Awesome God. We glorify You for Your Almighty power that raised Jesus Christ from His death. We thank You for Your great plan of salvation for us through His life, death and resurrection, paving the way for us to have new life with You. All praise to You for Your Great love for humanity. Thank You for giving us a Lord, a Conqueror, Victor, Redeemer, Deliverer and a Friend in Jesus Christ our Lord. Lord Jesus Christ, who won victory and rose again from death, we thank You for Your great love and sacrifice. We thank You for giving us a hope of everlasting life and salvation through Your Cross and Resurrection. Lord, we confess our endless need for You. We ask that You renew our hearts, minds and lives, for the days ahead. We pray for Your refreshing covering over us that we may be obedient to the Father’s will and walk the way You did, giving up Yourself for love and service. Keep Your words of truth planted firm within us.Help us to keep focus on what is pure and right. Give us the power to be obedient to Your commands. And when the enemy reminds us where we have been, hissing his lies and attacks our way, we trust that Your voice speaks louder and stronger, reminding us we are safe with You and that Your purposes and great love will not fail us. Lord Jesus, beloved Son of God, we ask that You be our defense and guard, keeping our way clear, removing the obstacles, and covering the pitfalls by the enemy. Lead us in Your way, shine Your light in us, through us, over us. May we make a difference in this world, spreading the good news of Your kingdom for the Glory of God in Your blessed name Jesus. May we reflect Your peace and hope to a world that so desperately needs your Presence, Love and Healing. Thanks be to God, for You Lord Jesus Christ our indescribable gift! To You be Glory and Honor, on this Resurrection Day, and forever. Amen! Grave where are you now? ALL GLORY BE TO OUR LORD AND SAVIOR! We thank You for setting us free from sin,who took our sins in cruxifiction. We thank You for giving us a hope of everlasting life,and salvation through Your cross and Resurrection. Lead us in Your way,shine Your light in us,through us,over us. We give You glory and honour on Resurrection Day,and forever and ever. Thank You Lord Jesus,for this wonderful prayer. We love You Lord Jesus,forever and ever.Hallelujah. I praise and give thanks to You my Lord God Jesus Christ, for He is always good. His love and His mercy endures forever and ever. We thank you for setting us free from sin.who took our sins in cruxifiction. Thanks be to God our Lord Jesus Christ. 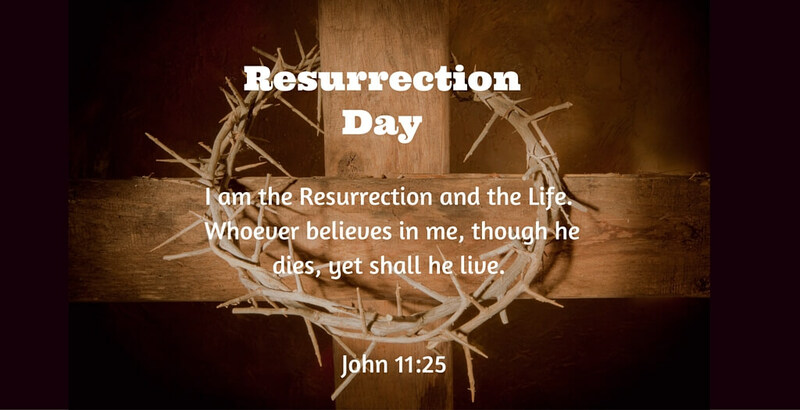 We give You Glory and Honour on this Resurrection Day and forever and ever. Thank you so much for this beautiful prayer,to strengthen my day. Lord Jesus Christ who is my great gift of life and your suffering have made me the real instrument of love and everlasting gift of life of others who are suffering in Him who is our Lord Almighty Jesus Christ and Almighty Redeemer of my life, Amen. Thank you Lord, Jesus! So full of compassion.